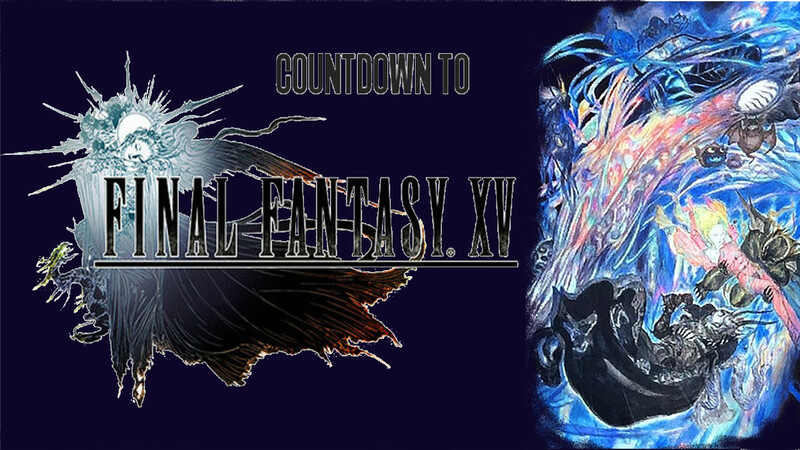 In the mean time, I will be posting my top list of Final Fantasy games as a countdown until the release of the next entry. I can almost guarantee that our lists will be different, and I encourage discussion. This will also let our readers know some of the history of this franchise, and my own personal thoughts on it. This ranking is my own opinion and does not represent the views of the rest of the Operation Rainfall staff, but it is a creation that I am proud of, so I stand behind it. With the many years that have passed, it’s easy to forget how sour the relationship between Nintendo and Squaresoft was back in 2003. Square was a fairly small developer during the NES era, although they began to hit their stride towards the end of that very long console cycle. But when it came to the SNES they became one of the premier developers in the world. Some SEGA fans are still going back to learn of the majesty of those Square RPGs of the SNES era, and they will rank very high on this list. But it wasn’t just Final Fantasy, there were a lot of amazing games that the company made during the 16-bit era. However, when the development stalled for the erstwhile SNES CD console, myself and many others were very shocked when Square stayed with the Sony licence and decided to develop for their rebound console, the PlayStation 1. From reports later, it was more that they believed in optical media more than cartridges than anything they had against Nintendo. But once Final Fantasy VII was released it became very apparent what system you needed to play on if you were a JRPG fan. Nintendo was less than pleased for several years. Finally the relationship began to repair with the updated ports to the SNES era RPGs on the GameBoy Advance. And then in 2003 there was a very surprising announcement of an all new Square RPG on the Nintendo Gamecube. After skipping the entire Nintendo 64 generation, this was a very shocking announcement. By the time this game was released, Final Fantasy X had already been out on the PlayStation 2 for a couple years and the company’s MMORPG was in its early days. But my first thought when seeing it was that it looked a lot like Final Fantasy IX. For me, this was a very exciting prospect. I’ll talk about that game (much) later on in the countdown, but it is one of my favorites of the whole series. That was very early on in the announcements and footage that I saw in the gaming magazines. It turned out that it was only the graphics and character style that hearkened back to that game. I started to be concerned that this game may not be for me when it first came to light that this game was multiplayer focused. Then I started to gain more interest when it was announced that there would be some compatibility with the GameBoy Advance. The idea of being able to take my game on the go and then to play it on the TV screen when I was home was a powerful one. Sadly, it turned out that was not to be the case. The functionality with the handheld device was only local and only really had multiplayer functionality. 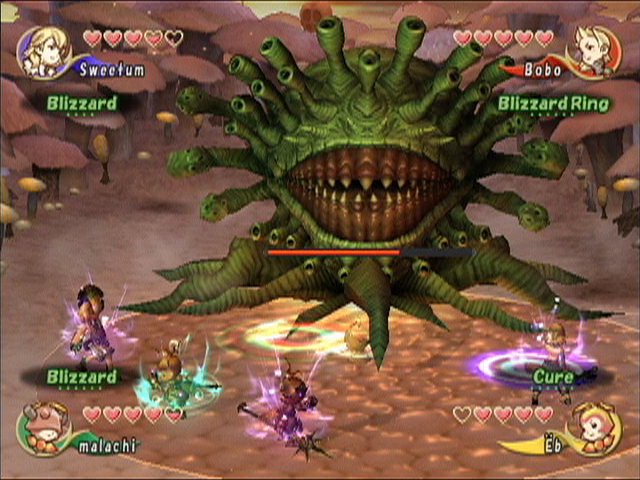 There was no good reason to plug your handheld system into your Gamecube to play this game single player. I wanted to love this game. This was a return to the Nintendo consoles, and the characters were very cute. The music of this game was also really amazing, in many ways it reminded me of The Secret of Mana and Chrono Cross, two of my favorite soundtracks of all time. But this mostly ended up being a rather frustrating experience. 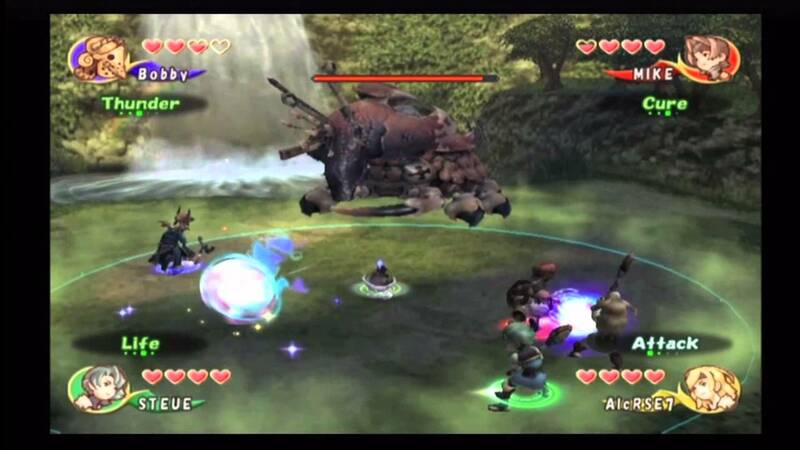 There were definite highlights, though, such as the action-RPG combat. Between the music and the combat, overall this game ended up feeling a lot like a secret sequel to The Secret of Mana, and that is not at all an insult. That game was one of my favorite of the SNES generation, and it also had multiplayer functionality. However, for the SNES game, it was definitely not required, it was more of a bonus feature. Not so in the case of Final Fantasy Crystal Chronicles. You can have some fun in this game single player, but the game is definitely focused on its multiplayer and your experience will be very limited. This was not an online capable console either, so your multiplayer was restricted to local; an impossibility for people like me, even if you got past the GameBoy Advance and connecting cable needs. That was a definite impediment to me really enjoying my gaming experience with this one, but one gameplay aspect made it even more of a chore, and that was lugging that stupid crystal around everywhere. I can understand why they made that part of the gameplay. It makes sense when you have 4 players playing together, especially because you can switch off who is the crystal carrier. But when you are playing single player, this really interfered with my enjoyment. So there were things that I really liked about this game, mostly the aesthetics. But in the end, no matter how much I tried, the game just could not sink its hooks into me. But I can’t say that this is a bad game. It’s just not for me. Still, this is an important game in the history of the company. This was largely a make good game between them and Nintendo and it led to many more future releases on that company’s consoles. 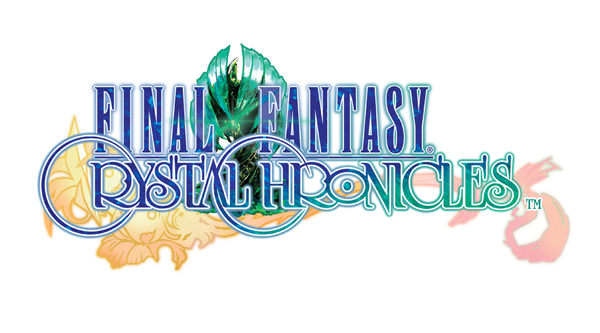 Alas, none of the other Crystal Chronicle games will make my list. And it’s not because I didn’t like them, I just never played them so I can’t weigh in. I was always busy playing something else, so I never bothered to go back to this series. I did hear that the later releases were much more up my alley, though, so this is a series that I would like to go back to eventually.